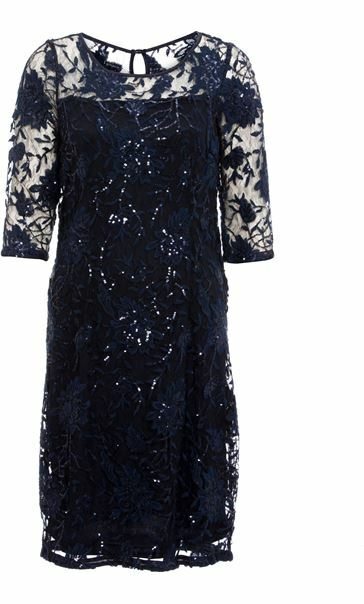 Party the night away in this beautiful lace and sequin midi dress. 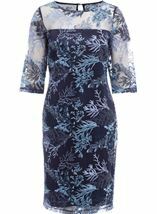 Designed in a navy hue and features three quarter length sleeves, round neckline, concealed back zip fastening with button keyhole and is lined to the body. Team with heels and simple accessories for a stunning look. Back length 100cms. 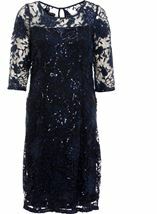 I have purchased for a winter wedding. Just love navy blue. Such a comfortable dress. 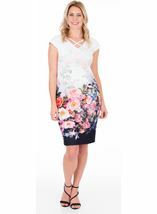 Looks the part and got lots of complements.very slimming and not as harsh as a black dress.